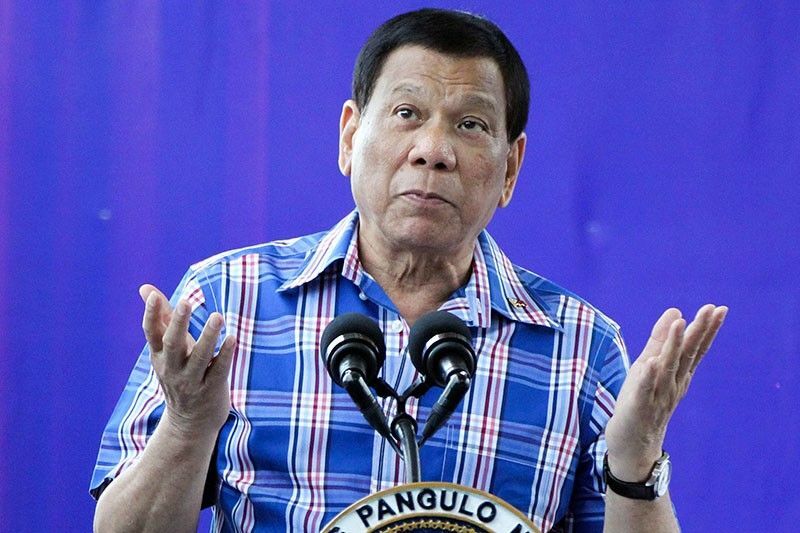 MANILA, Philippines – The Philippines is better off with a dictator like the late president Ferdinand Marcos if illegal drugs and corruption persist, President Duterte said Thursday. Duterte, who previously described Marcos as "one of the brightest Filipinos," said illicit drugs and corruption would continue to plague the Philippines if he yields to criticisms and stops his campaigns. "If I stop now my crusade against drugs, and if there is no order in this place, Philippines, and corruption will continue, patay yun (we are all dead)," the President said during the 49th Mandaue charter day in Cebu. "I said you're better off choosing a dictator in the likes of Marcos. That's what I suggested," he added. Marcos, whose 20-year presidency was tainted with allegations of human rights abuses and corruption, was ousted during the 1986 EDSA People Power revolution. Duterte has sparked outrage after allowing the burial of Marcos at the Libingan ng mga Bayani despite protests from human rights groups. Duterte insisted that the late strongman deserves to be interred in the heroes' cemetery as a former president and commander-in-chief. After praising Marcos, Duterte belittled the capabilities of Vice President and opposition leader Leni Robredo. Robredo belongs to the Liberal Party, the political opposition during the Marcos regime. "You can have a constitutional succession, Robredo, but she cannot hack it," Duterte said. The President stood by his claim that Naga City, Robredo's hometown, is a hotbed of shabu. "I stand by my word that Naga is a hotbed. Her (Robredo) brother-in-law brought drugs in Bicol. That's true. Of course, denial," he added. Duterte previously said he does not want Robredo to succeed him if he resigns because she is incompetent. He said he wants the likes of former senator Ferdinand "Bongbong" Marcos, Jr. and Sen. Francis Escudero to become president. Both Marcos and Escudero sought the vice presidency in 2016. Duterte's vice presidential candidate during the 2016 polls was former senator and now foreign affairs secretary Alan Cayetano. Marcos has a pending electoral protest against Robredo, whom he accused of electoral fraud.